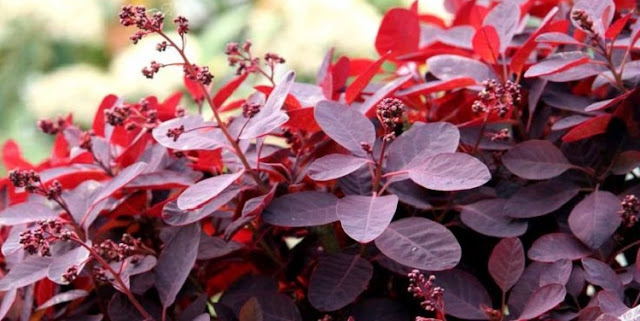 Cotinus coggygria 'Royal Purple' is arguably one of the best purple-leaved architectural garden plants. There are two acceptable ways for propagating Cotinus coggygria 'Royal Purple'. The first, and most commonly applied, technique is cuttings. The second is from layering which while being much slower it is in fact a far more viable method of propagation. Propagating Cotinus coggygria 'Royal Purple' by layering is the simplest method and is best undertaken in September. First prepare the soil below where you are going to root the cutting by mixing in a good quality compost. Heavy, poor draining soils can be improved with horticultural grade coarse sand. 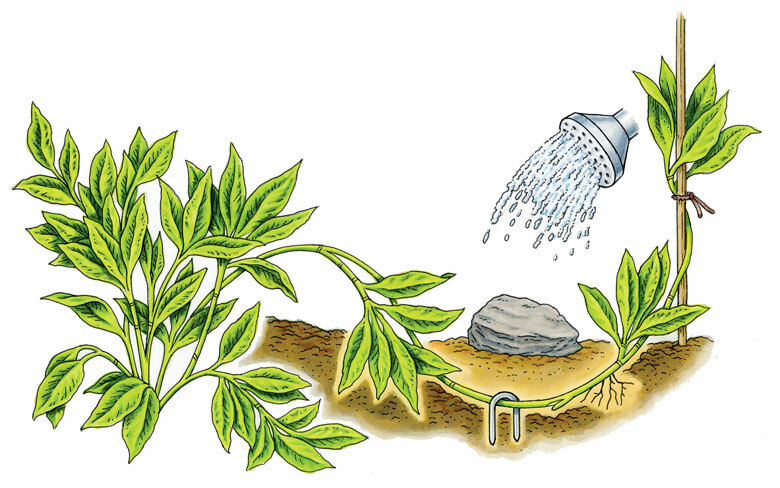 Take a long shoot from the base of the plant and bend it at the point where you which to encourage root growth. The rest of the stem up to the apical tip will need to be supported in an upright position using a sturdy cane. Wound the stem at the bend by removing a small sliver of bark. You can apply rooting hormone powder to the wound but this is not really necessary. Bury the stem a couple of inches deep then secure in place using a metal pin, brick or a suitably sized stone. You will be able to sever the stem from the parent plant in approximately 12-18 months.